mobile devices without the need to install software. VMS Central supports NTCIP and manufacturer-specific protocols. The message on the sign can be changed manually, or automatically based on a schedule. Messaging may be automated based on real time traffic data from sensors, vehicle location data, and third party real time traffic sources. Automated messages can identify travel times, slow or stopped traffic ahead, and how far ahead. VMS Central features a pixel-by-pixel WYSWYG (what you see is what you get) message editor that eliminates errors. 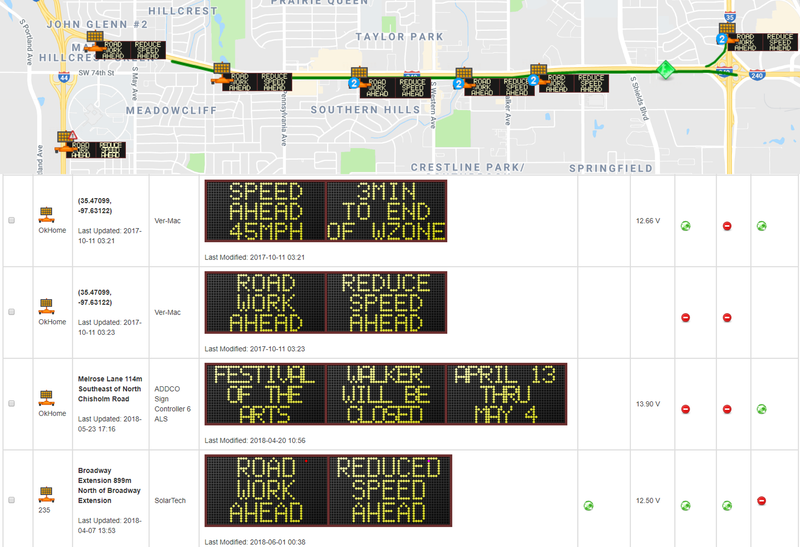 It presents sign locations, statuses, and the displayed messages on a map, with the real time road information you want to include. Add-on options include CCTV module, traffic sensor module, and push notification module.